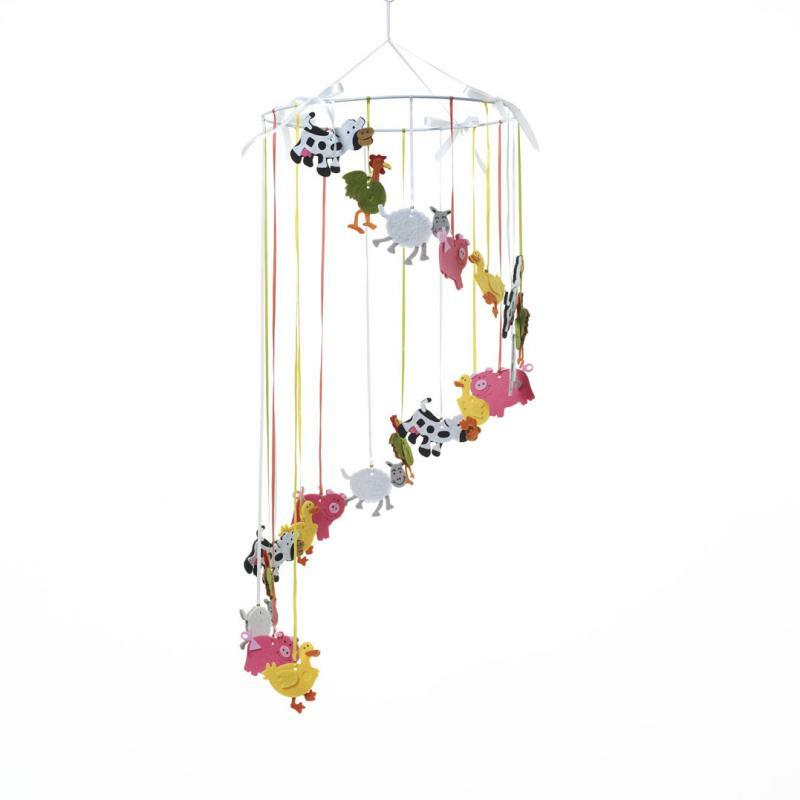 A colourful felt hanging Nursery Mobile with cute Farm Yard Animals hanging from ribbon. A classic gift that makes a pretty decoration for a child's room. 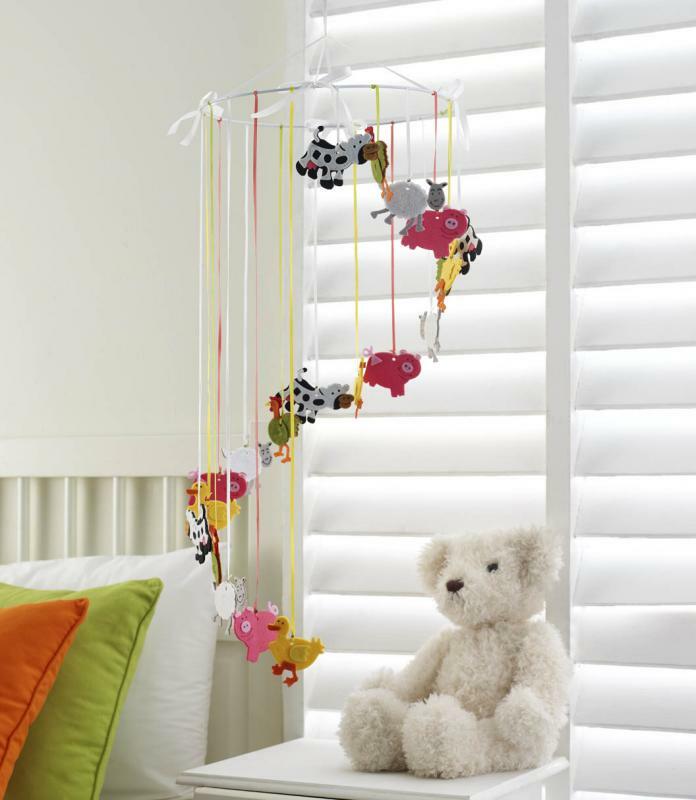 This mobile has a simple hanging loop so it can be hung from a hook anywhere on the ceiling.